If you’re shopping for an orchestral string instrument in Minnesota, please visit us at Schmitt Music Brooklyn Center! 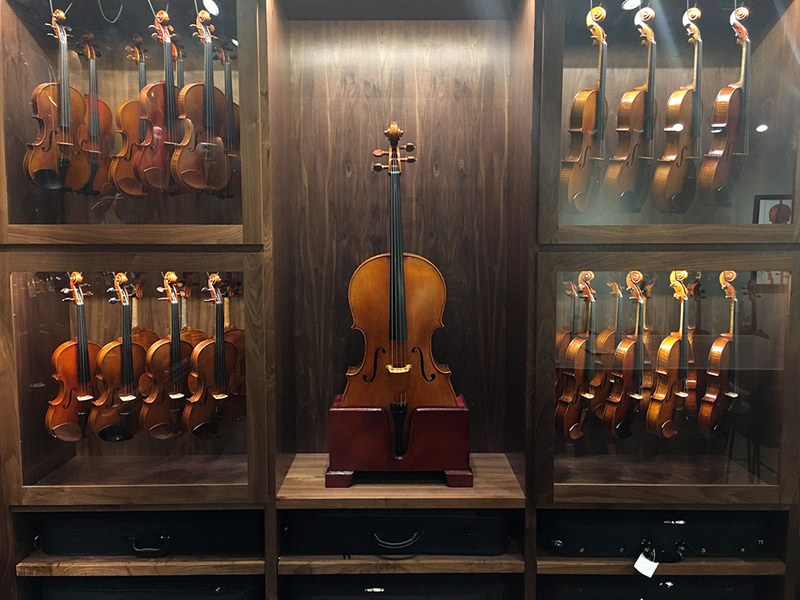 The Violin Shop is filled with instruments, bows, and accessories suitable for the advancing high school or college player. Our mission is to support students throughout their musical studies, from the youngest beginner to the player headed off to college. Whether your student simply loves music or wants to make a career out of it, The Violin Shop has the tools to help them reach their goals. Visit us today at Schmitt Music Brooklyn Center. Shop and play the latest instruments and must-have accessories from Amati, Eastman, Galiano, Yamaha, Arcos Brasil, Thomastik-Infeld, Pirastro, Bobelock and more! 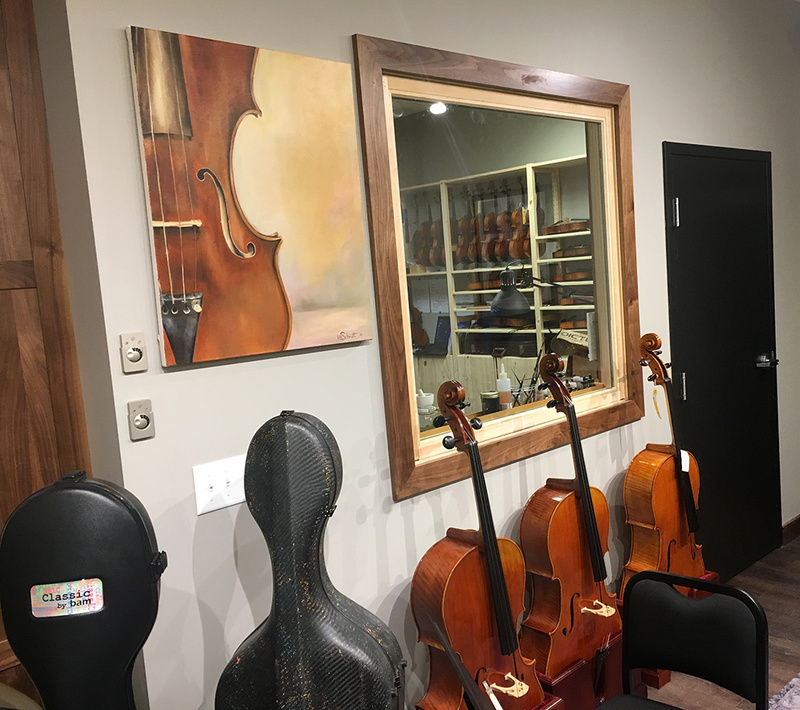 We have a special room for beginning orchestra students with 1/16 to 4/4 size violins, violas at 12″ to 16.5″, 1/8 to 4/4 size cellos and basses up to 3/4 size. Visit us today and try instruments in a special room designed for comfortable, private testing. Call or email to set up a special showing, and get one-on-one help from our Violin Specialist! Mon – Thurs: 10 a.m. – 8 p.m.
Fri & Sat: 10 a.m. – 6 p.m.
To set up an appointment, please call, email or fill out a quick contact form. Nathan has been playing since age eight, and nothing has changed. MacPhail School of Music and the MYS and GTCYS youth orchestras were formative in his early musical life. After completing his undergrad and grad studies in violin performance at the University of Minnesota, Nathan opened Integrity Music Academy in 2006. In addition to teaching and managing the academy, he is a busy ‘gigging musician.’ He plays with guitarist Billy McLaughlin, well known regional performing artists, orchestras, and is an active church musician. His versatility and improvisational skills make him an excellent studio musician as well as an invaluable voice in the EIS Trio. Peter apprenticed at The Violin Shop of Santa Fe in 2001, which led to enrollment at the North Bennet Street School (Boston, MA) in 2003. While a student he interned at Reuning and Son Violins, and graduated with a diploma in Violin Making and Repair from the North Bennet Street School in 2006. He has worked for violinmaker David Gusset, and violinmaker and restorer Andrew Carruthers. Awards include Certificate of Merit for Violin Tone (VSA 2006), and First Prize for Workmanship and Playability (Art of Sound Competition 2012). Marinos is a professionally trained luthier with an extensive background in music. As a cellist he has been active as a performer, teacher, and chamber coach throughout Minnesota. He earned a Bachelor in Music Performance and then began his training as a luthier by apprenticing for two years under Duluth-based lute maker Daniel Larson. 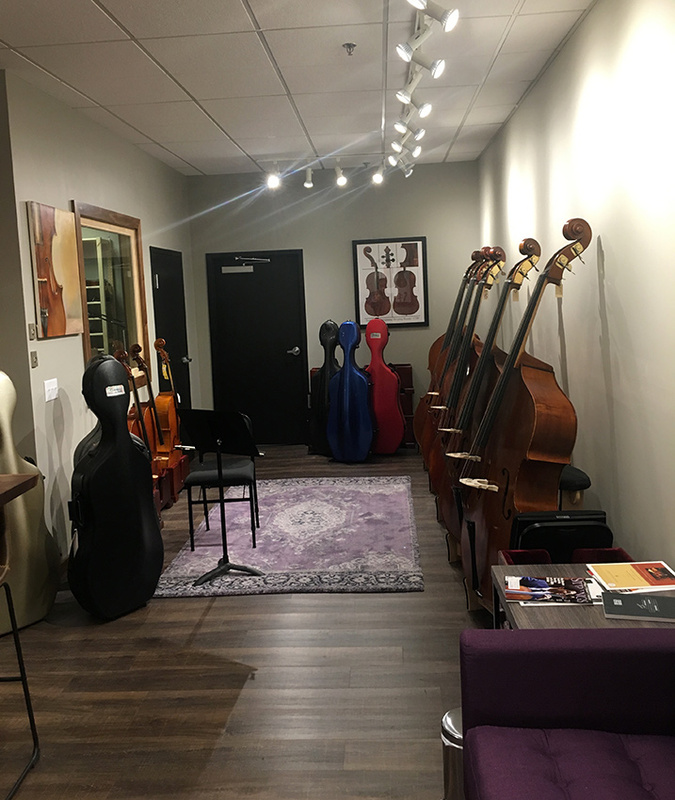 Marinos continued his training at the prestigious and internationally recognized Violin Making School of America in Salt Lake City – a four year program dedicated to the construction of new violins, violas, and cellos. Upon graduating, Marinos was invited to work alongside luthier John Waddle where he spent two years immersed in set-up and tonal adjustments. 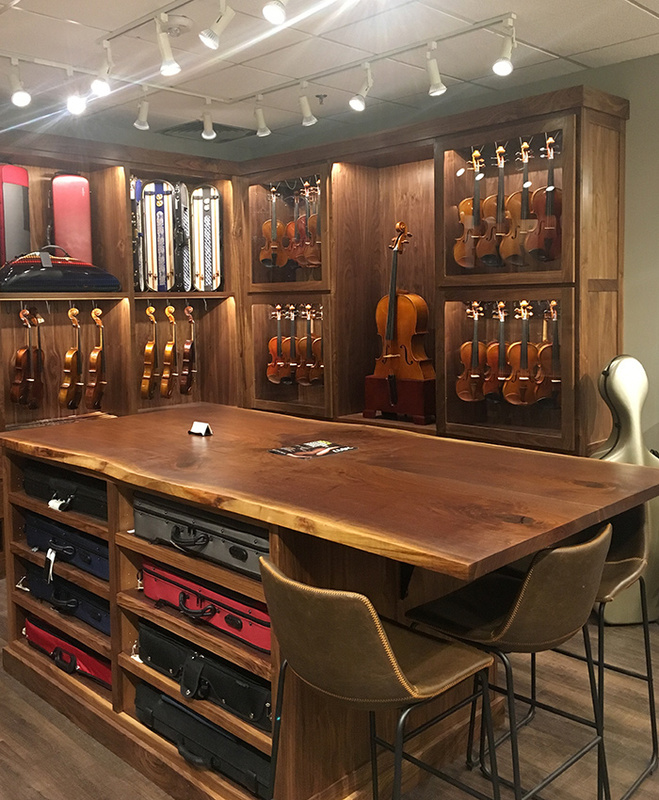 Marinos joined the Paul A. Schmitt Violin Shop this past spring and works alongside Head Luthier Peter Bingen providing professional set-up, repair, and tonal adjustments. Marinos is also active as a maker of new violins, violas, and cellos. He resides in Saint Paul with his wife Sarah and their two dogs Lucy and Pam. Jennifer comes to us from Durham, North Carolina where she owned her own small shop for over 30 years. She is a professionally trained violin maker and bow technician and is a connoisseur with deep roots in our industry. We know you will find it a pleasure to work with her. Jennifer is an avid concert and recital-goer. Please reach out to her with an invitation to your upcoming events or stop by her bench at the Brooklyn Center shop anytime. 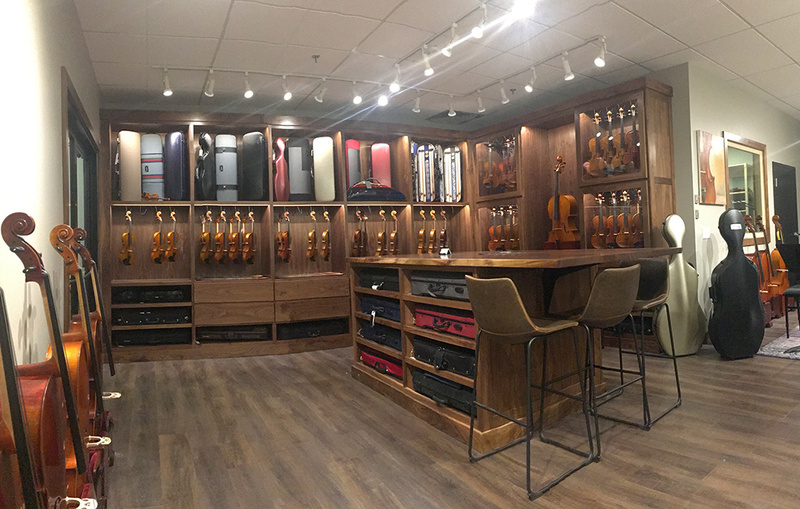 Check out our beautiful Violin Shop! We’ve offer a great selection of instruments and must-have accessories! Acoustic Instruments By: Peter Bingen, Lake City, Eastman, Scott Cao, Snow, Calin Wulter, Jarek Koscielny, Maciej Lacek, Ivan Dunov, Albert Nebel, Wilhelm Klier, Fredrich Wyss, and Rainer Leonhardt; along with a selection of vintage and consignments instruments. Accessories: The Violin Shop carries rosins and strings by Pirastro, Thomastik-Infeld Vienna, and others; shoulder rests by manufacturers including Everest, Bon Musica, Viva la Musica, KUN, Mach One and more; a variety of cases including Eastman, Lake City, Gewa, Core, Bam, and Bobelock. Print Music: We carry basic methods and a wide offering of scale books, etudes, concerti, and show pieces suitable for advanced players.